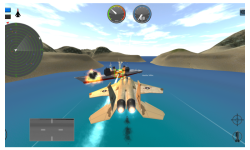 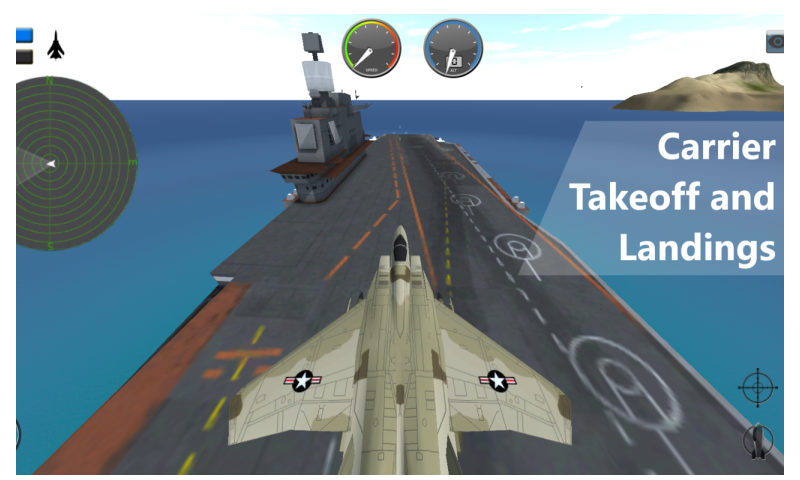 This air combat simulator lets you fly a supersonic F14 fighter jet that is armed to the teeth. 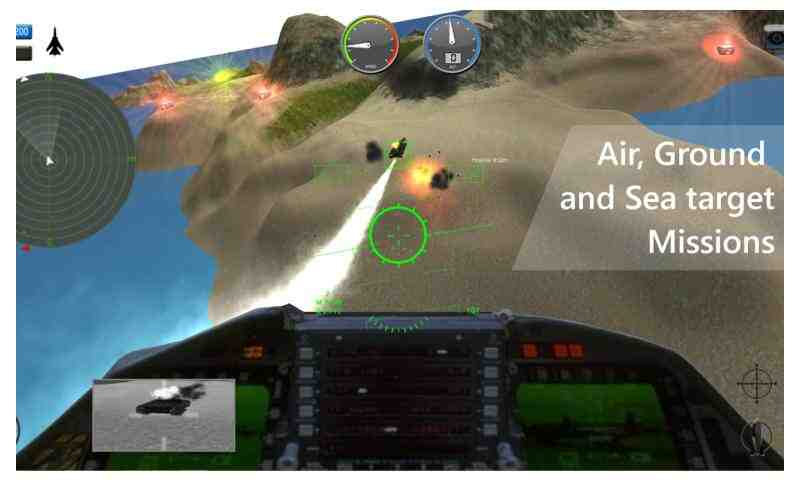 Your mission is to take out the enemy jet fighter planes and destroy the defensive turrets on the navel vessel. 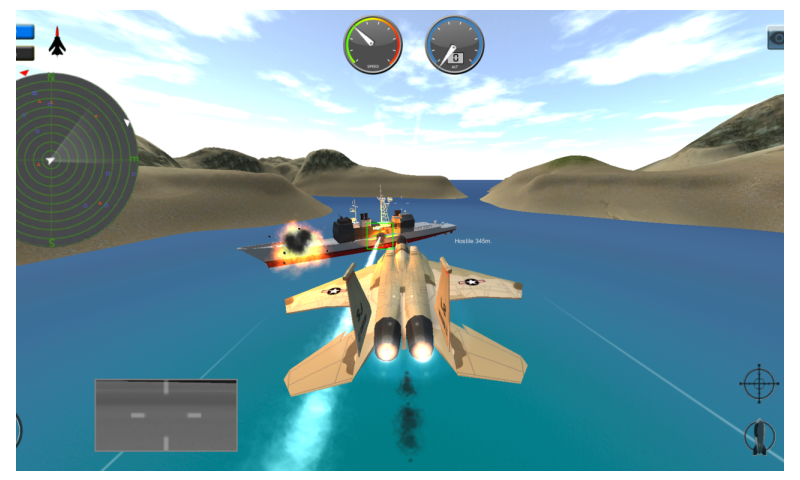 Experience true to life dog fighting in this exhilarating combat sim. Chose between first person cockpit view for precision attacks or view your aircraft from the back for tactical overview. You can even switch to your tail camera in case you need to outsmart bogey rockets and enemy warplanes.Punch your afterburner and fire your rockets and machine guns like a true ace! 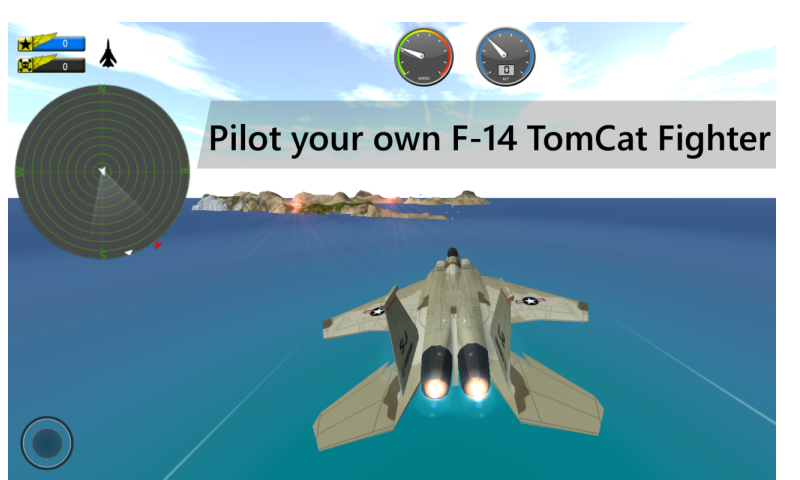 Save the world and become a real fighter pilot hero! 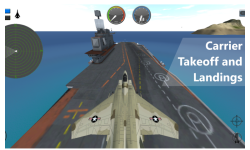 KEY FEATURES: + Highly intense aerial dogfighting + True to life aircraft handling + Intuitive control scheme + Switch between cockpit and third person view + Perform exhilarating stunts such as loopings + Attack the naval ship and take out its battery of flak cannons + Shoot down enemy aircraft with your machine gun fire and heat seeking rockets.